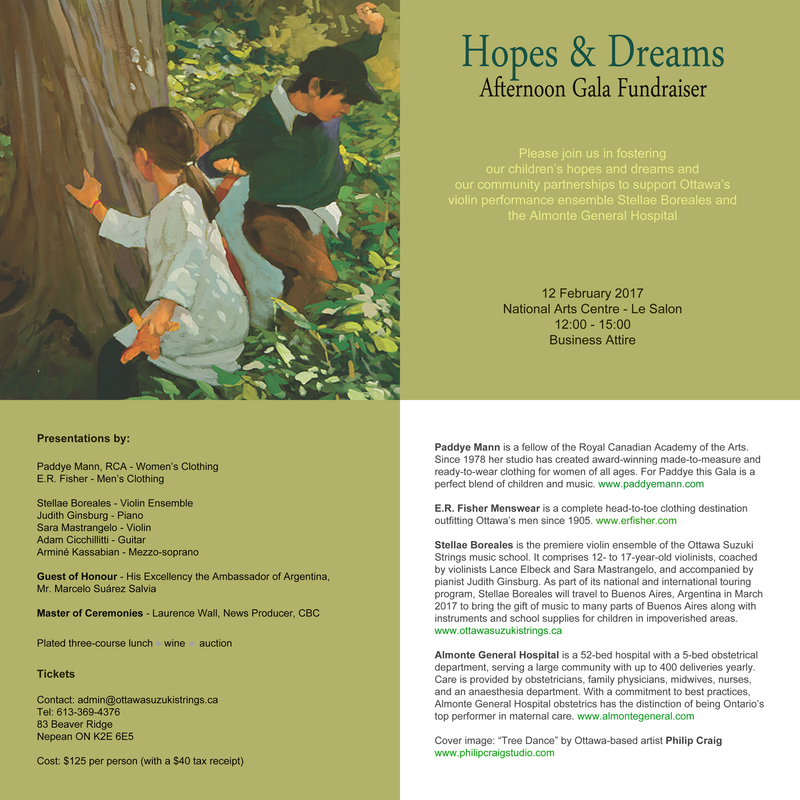 I’m pretty excited about the ‘Hopes and Dreams’ Afternoon Gala Fundraiser – first in a long time and we finally get to contribute to our wonderful hospital. Many thanks to Sonia at E.R.Fisher for agreeing to show her wonderful men’s clothing, and Philip Craig for this most perfect invitation image. I would love to see my friends come out and support children and community with me at the gala. You can get tickets at www.ottawasuzukistrings.ca or download the full invitation for more information.